“Back To The Dancefloor” is a truly outstanding album, a gem of out times. 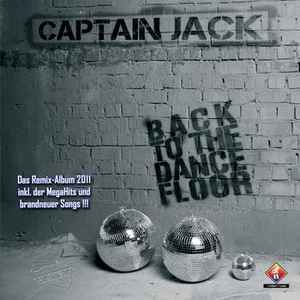 It combines trademark Captain Jack sound with a tribute to the classic eurodance of the 90s, and the result is amazing. The album does not have a single weak track, and all the remixes are superb. Stylewise, it has something for everyone, including Latin-flavored dance (PEOPLE LIKE TO PARTY (SAMBAMIX)); 90s-style eurodance (SATURDAY NIGHT); euroreggae (HOW DOES IT FEEL); trance/dancecore (CAPTAIN JACK 2010 (ACE DA BRAIN REMIX)); and even German disco of the 70s (FREAK YOU). The sound is fresh and juicy, and the amount of energy put into it won’t leave anyone dissatisfied. SATURDAY NIGHT and HOW DOES IT FEEL are very much in the style of the 90s, and in my opinion, they are on a par with the best tracks from that era. This album is breathtaking from beginning to end, and I have no reservations in recommending it to all dance music fans. It shows what real-quality dance music is and should be, whatever the current preferences. My only regret is that it doesn’t seem to be getting much promotion – at least here in Russia.